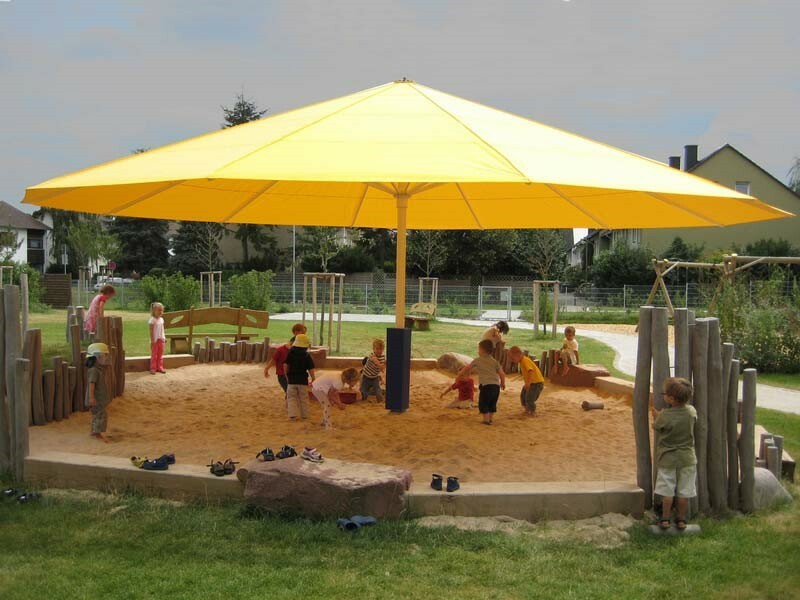 The Type TL and TLX umbrellas are the Giants of the world of umbrellas. 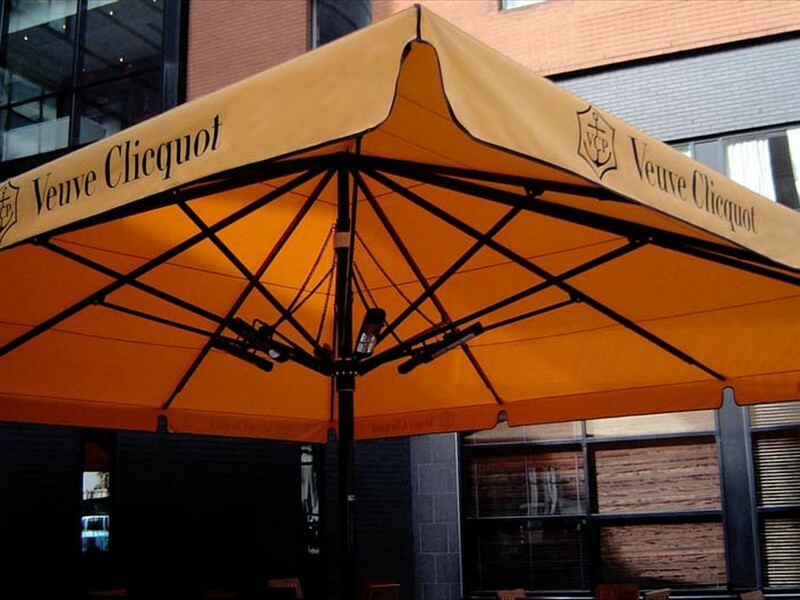 These telescopic umbrellas are strong and stable with mast diameter and wall thickness of 106/3 and 110/5mm respectively. 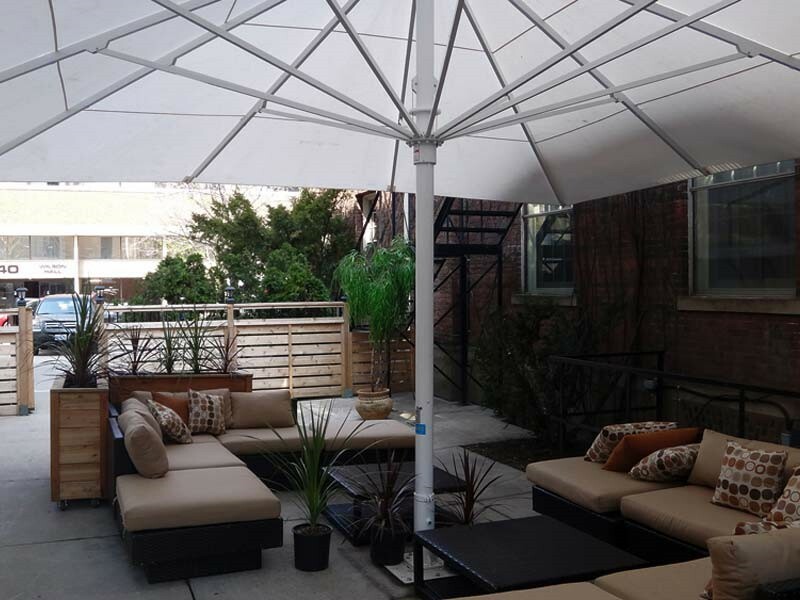 Manufactured with 10 or 12 strong arms, these telescopic umbrellas also have a slider mechanism that makes operating these extra large umbrellas very easy. 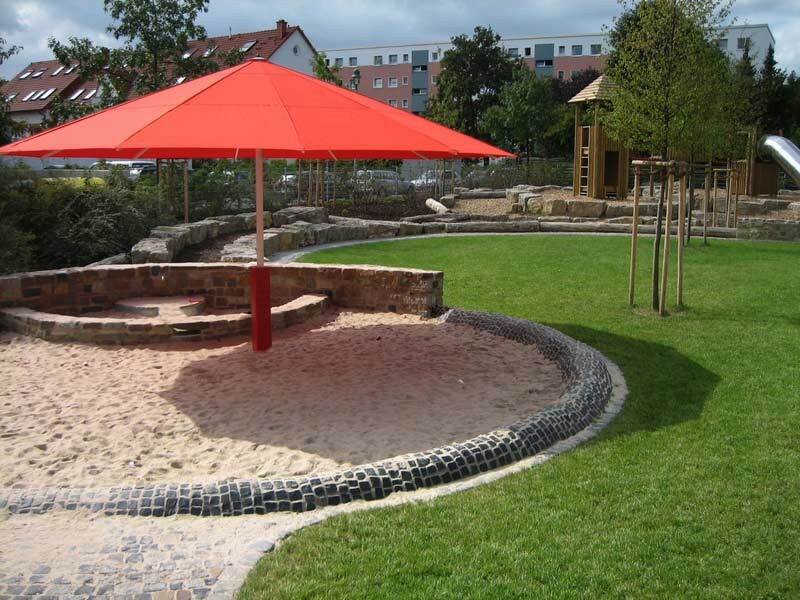 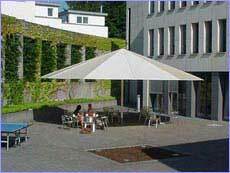 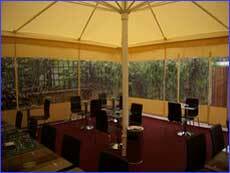 Our TL and TLX Giant Umbrellas are the perfect choice to shade medium to very large areas. 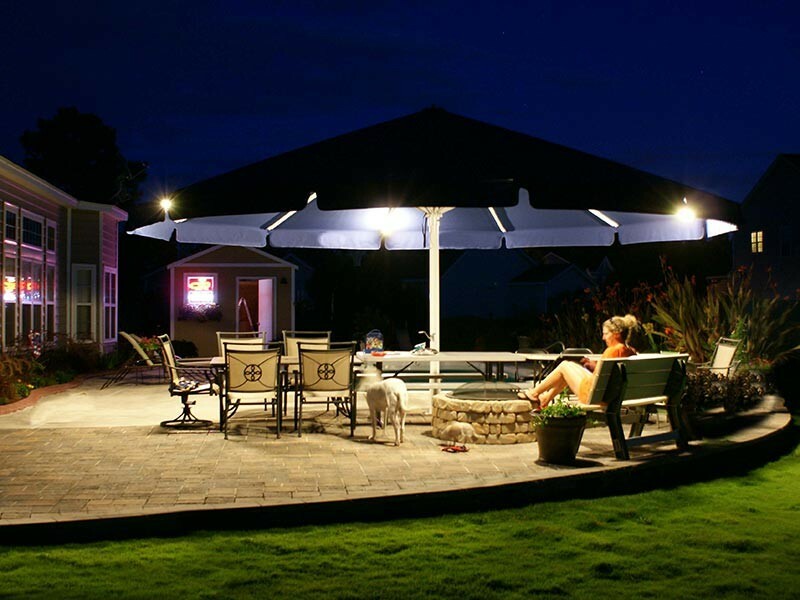 They are large enough to cover an entire patio and provide a safe oasis from rain and shine. 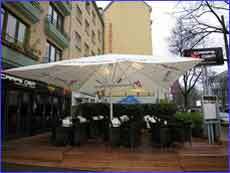 The area covered by these giant umbrellas ranges from 25 to 78 square meter size (or 350 to 845 square feet). 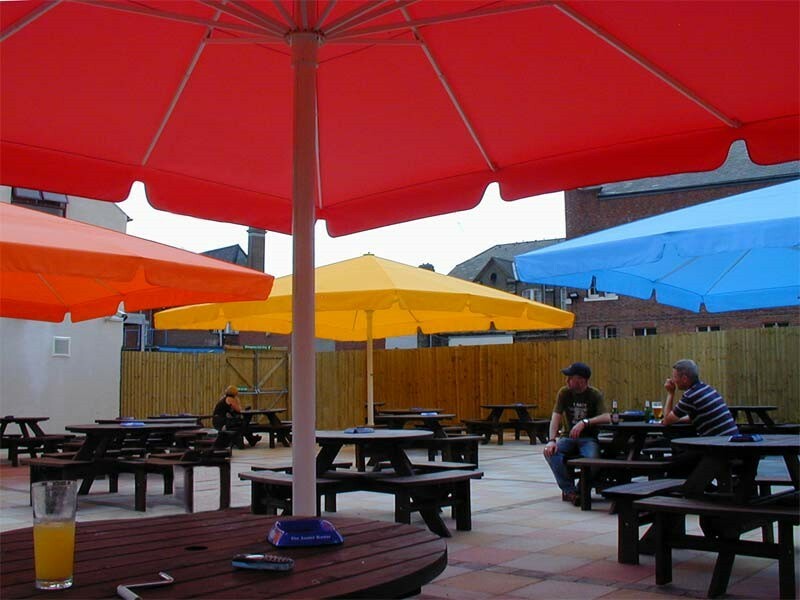 Adjacent square or rectangular umbrellas can be connected to cover extremely large areas. 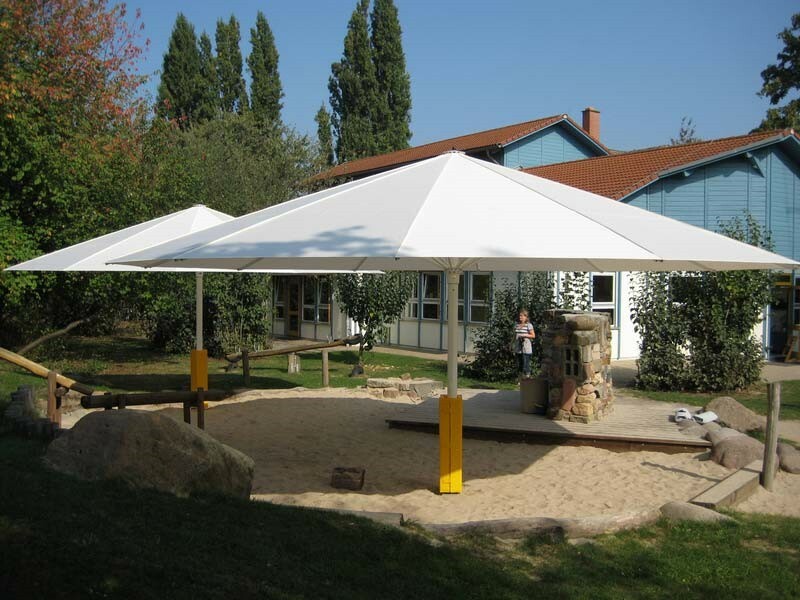 As for our other models, these umbrellas come with optional accessories like rain gutters and side panels that offer complete weather protection, lights and heaters to raise ambience and comfort levels, and screen printing that can be used to advertise a product or brand a business. 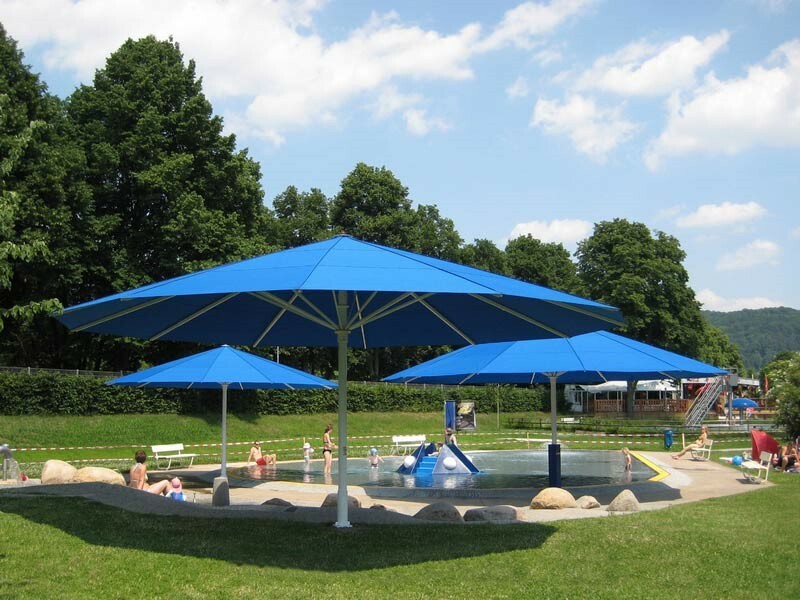 Reasonable pricing makes these umbrellas very cost effective, and a favorite choice of value minded customers.